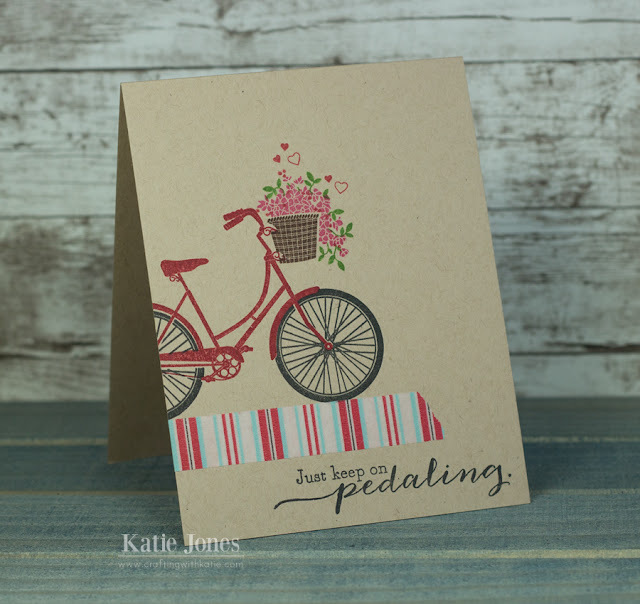 I felt like making just a simple stamped card, so I pulled out a stamp set I haven't used for a while, Papertrey Ink's Pedal Pusher. After doing all of my stamping, I added a little strip of washi tape to ground my bicycle, and that was it! I love it! What a beautiful card!